At 9am on the 30th January, 2019, the Australian Government Federal Health Minister Greg Hunt announced the initiation of the ‘Australian Parkinson’s Mission‘ – a very massive $30 million clinical trial programme that will be focused on potentially disease modifying treatments for Parkinson’s. This huge endeavour will being with a large multi-arm study – involving 300 hundred participants and investigating 4 drugs (compared to a single placebo). It will be a first of its kind project in the world targeting Parkinson’s. This is a very exciting development for the Parkinson’s community! In today’s post, we will discuss what we currently know about the Australian Parkinson’s Mission project, what we hope to see resulting from the initiative, and why this is a tremendous step forward for the international Parkinson’s community as a whole. Being a patriotic kiwi there is always enormous potential to make fun when writing a post about any Parkinson’s-related news coming out of Australia. New Zealand and Australia have always had a big brother/little brother kind of relationship (and just so we are clear: NZ is the big brother!). 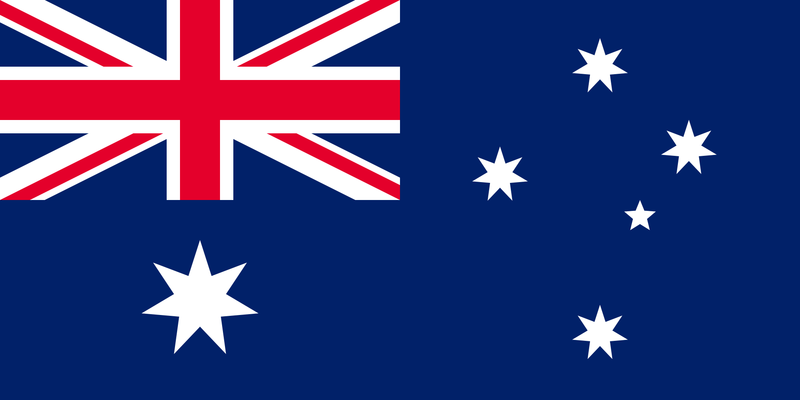 It is very strange to say, but… today… I am actually very proud of you Australia. At 9am this morning at the Garvan Institute of Medical Research in Sydney, Greg Hunt – the Federal Health Minister of the Australian Government – announced the commencement of a major clinical trial initiative (named ‘The Australian Parkinson’s Mission‘), which is going to be a very large, world-leading clinical programme focused on potentially disease modifying drugs for Parkinson’s (Click here to read the press release). Struth mate!!! This sounds fantastic. What do we know about the study? Chinese researchers recently published pre-clinical research demonstrating the use of their protocol for generating stem cell-derived neurons for cell transplantation in Parkinson’s. The data represents the last step/proof-of-principle stage for taking this procedure into clinical trials (which are ongoing). In today’s post, we will discuss what cell transplantation is, we will review the new data, and we will consider some of the issues associated with taking this procedure to the clinic. Now, the bad new is that there is no ‘silver bullet’ on the horizon that provides all three (for example, there is no neuroprotective agent that also replaces lost cells). Recently a research report focused on a cell transplantation (a form of cell replacement therapy) approach for Parkinson’s was published by a group of researchers in China. They have proposed that the results presented in the report justify their efforts to take this approach forward into clinical testing. In American slang, to ‘nix‘ something is to ‘put an end to it’. Curiously, a protein called NIX may be about to help us put an end to Parkinson’s disease, at least in people with specific genetic mutations. In today’s post we will look at what NIX is, outline a new discovery about it, and discuss what this new information will mean for people living with Parkinson’s disease. Before we start, I would like the reader to appreciate that I am putting trans-Tasman rivalry side here to acknowledge some really interesting research that is being conducted in Australia at the moment. And this is really interesting. I have previously spoken a lot about mitochondria and Parkinson’s on this website. For the uninitiated, mitochondria are the power house of each cell. They help to keep the lights on. Without them, the party is over and the cell dies. You may remember from high school biology class that mitochondria are tiny bean-shaped objects within the cell. They convert nutrients from food into Adenosine Triphosphate (or ATP). ATP is the fuel which cells run on. Given their critical role in energy supply, mitochondria are plentiful (some cells have thousands) and highly organised within the cell, being moved around to wherever they are needed. Like you and I and all other things in life, however, mitochondria have a use-by date. As mitochondria get old and worn out (or damaged) with time, the cell will recycle them via a process called mitophagy (a blending of the words mitochondria and autophagy – the waste disposal system of each cell). What does this have to do with Parkinson’s disease? Well, about 10% of Parkinson’s cases are associated with particular genetic variations that render people vulnerable to developing the condition. Some of these mutations are in sections of DNA (called genes) that provide the instructions for proteins that are involved in the process of mitophagy. Two genes, in particular, are the focus of a lot of Parkinson’s-related research – they are called PARKIN and PINK1. What do PARKIN and PINK1 do? We have been contacted by some readers asking about a new stem cell transplantation clinical trial for Parkinson’s disease about to start in China (see the Nature journal editorial regarding this new trial by clicking here). While this is an exciting development, there have been some concerns raised in the research community regarding this trial. In today’s post, we will discuss what is planned and what it will mean for stem cell transplantation research. Parkinson’s disease is a progressive neurodegenerative condition. This means that cells in the brain are slowly being lost over time. What makes the condition particularly interesting is that certain types of brain cells are more affected than others. The classic example of this is the dopamine neurons in an area of the brain called the substantia nigra, which resides in the midbrain. Approximately 50% of the dopamine neurons in the midbrain have been lost by the time a person is diagnosed with Parkinson’s disease (note the lack of dark colouration in the substantia nigra of the Parkinsonian brain in the image above), and as the condition progresses the motor features – associated with the loss of dopamine neurons – gradually get worse. This is why dopamine replacement treatments (like L-dopa) are used for controlling the motor symptoms of Parkinson’s disease. A lot of research effort is being spent on finding disease slowing/halting treatments, but these will leave many people who have already been diagnosed with Parkinson’s disease still dealing with the condition. What those individuals will require is a therapy that will be able to replace the lost cells (particularly the dopamine neurons). And researchers are also spending a great deal of time and effort on findings ways to do this. One of the most viable approaches at present is cell transplantation therapy. This approach involves actually injecting cells back into the brain to adopt the functions of the lost cells. How does cell transplantation work? We have discussed the history of cell transplantation in a previous post (Click here to read that post), and today we are simply going to focus on the ways this experimental treatment is being taken forward in the clinic. Many different types of cells have been tested in cell transplantation experiments for Parkinson’s disease (Click here for a review of this topic), but to date the cells that have given the best results have been those dissected from the developing midbrain of aborted embryos. This now old fashioned approach to cell transplantation involved dissecting out the region of the developing dopamine neurons from a donor embryo, breaking up the tissue into small pieces that could be passed through a tiny syringe, and then injecting those cells into the brain of a person with Parkinson’s disease. Critically, the people receiving this sort of transplant would require ‘immunosuppression treatment’ for long periods of time after the surgery. This additional treatment involves taking drugs that suppress the immune system’s ability to defend the body from foreign agents. This step is necessary, however, in order to stop the body’s immune system from attacking the transplanted cells (which would not be considered ‘self’ by the immune system), allowing those cells to have time to mature, integrate into the brain and produce dopamine. In cell transplant procedures for Parkinson’s disease, multiple injections are usually made in the putamen, allowing for deposits in different areas of the structure. These multiple sites allow for the transplanted cells to produce dopamine in the entire extent of the putamen. And ideally, the cells should remain localised to the putamen, so that they are not producing dopamine in areas of the brain where it is not desired (possibly leading to side effects). Sounds like a great therapy for Parkinson’s disease right? So why aren’t we doing it??? 1. The tissue used in the old approach for cell transplantation in Parkinson’s disease was dissected from embryonic brains. Obviously there are serious ethical and moral problems with using this kind of tissue. There is also a difficult problem of supply: tissue from at least 3 embryos is required for transplanting each side of the brain (6 embryos in total). Given these issues, researchers have focused their attention on a less controversial and more abundant supply of cells: brain cells derived from embryonic stem cells (the new approach to cell transplantation). 2. The second reason why cell transplantation is not more widely available is that in the mid 1990’s, the US National Institutes of Health (NIH) provided funding for the two placebo-controlled, double blind studies to be conducted to test the efficacy of the approach. Unfortunately, both studies failed to demonstrate any beneficial effects on Parkinson’s disease features. In addition, many (15% – 50%) of transplanted subjects developed what are called ‘graft-induced dyskinesias’. This involves the subjects display uncontrollable/erratic movement (or dyskinesias) as a result of the transplanted cells. Interestingly, patients under 60 years of age did show signs of improvement on when assessed both clinically (using the UPDRS-III) and when assessed using brain imaging techniques (increased F-dopa uptake on PET). Both of the NIH trials have been criticised by experts in the field for various procedural failings that could have contributed to the failures. But the overall negative results left a dark shadow over the technique for the better part of a decade. Researchers struggled to get funding for their research. And this is the reason why many researchers are now urging caution with any new attempts at cell transplantation clinical trials in Parkinson’s disease – any further failures will really harm the field, if not kill if off completely. Are there any clinical trials for cell transplantation in Parkinson’s disease currently being conducted? Firstly there is the Transeuro being conducted in Europe. 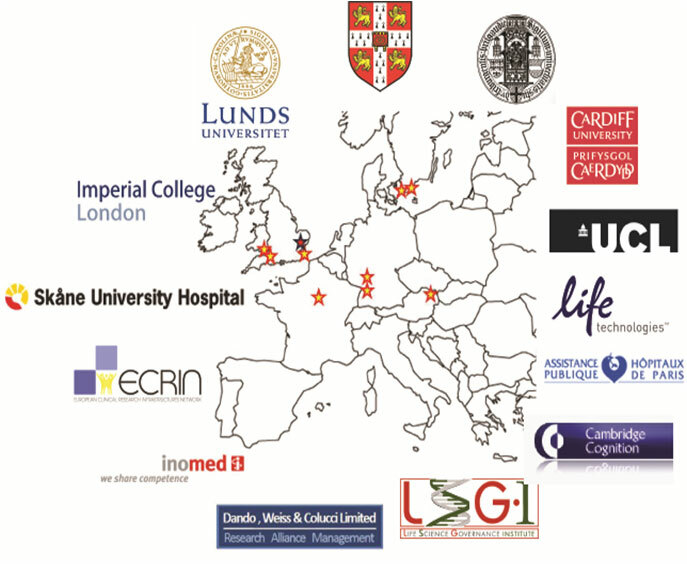 The Transeuro trial is an open label study, involving 40 subjects, transplanted in different sites across Europe. They will receive immunosuppression for at least 12 months post surgery, and the end point of the study will be 3 years post surgery, with success being based on brain imaging of dopamine release from the transplanted cells (PET scans). Based on the results of the previous NIH funding double blind clinical studies discussed above, only subject under 65 years of age have been enrolled in the study. In addition to testing the efficacy of the cell transplantation approach for Parkinson’s disease, another goal of the Transeuro trial is to optimise the surgical procedures with the aim of ultimately shifting over to an embryonic stem cells oriented technique in the near future with the proposed G-Force embryonic stem cell trials planned for 2018 (the Transeuro is testing the old approach to cell transplantation). The second clinical study of cell transplantation for Parkinson’s disease is being conducted in Melbourne (Australia), by an American company called International Stem Cell Corporation. This study is taking the new approach to cell transplantation, but the company is using a different type of stem cell to produce dopamine neurons in the Parkinsonian brain. Specifically, the researchers will be transplanting human parthenogenetic stem cells-derived neural stem cells (hpNSC). These hpNSCs come from an unfertilized egg – that is to say, no sperm cell is involved. The female egg cell is chemically encouraged to start dividing and then it becoming a collection of cells that is called a blastocyst, which ultimately go on to contain embryonic stem cell-like cells. This process is called ‘Parthenogenesis’, and it’s not actually as crazy as it sounds as it occurs naturally in some plants and animals (Click here to read more about this). Proponents of the parthenogenic approach suggest that this is a more ethical way of generating ES cells as it does not result in the destruction of a viable organism. We are unaware of any preclinical data produced by Dr Kern and International Stem Cell Corporation…or ANY other research lab in the world that has achieved 97% dopamine-releasing cells. We (and others) would be interested in learning more about Dr Kerns amazing claim. The International Stem Cell Corporation clinical trial is ongoing. For more details about this second ongoing clinical trial, please click here. So what do we know about the new clinical study? The clinical trial (Titled: A Phase I/II, Open-Label Study to Assess the Safety and Efficacy of Striatum Transplantation of Human Embryonic Stem Cells-derived Neural Precursor Cells in Patients With Parkinson’s Disease) will take place at the First Affiliated Hospital of Zhengzhou University in Henan province. The researchers are planning to inject neuronal-precursor cells derived from embryonic stem cell into the brains of individuals with Parkinson’s disease. They have 10 subjects that they have found to be well matched to the cells that they will be injecting, which will help to limit the chance of the cells being rejected by the body. Incidence of treatment-emergent adverse events, as assessed by brain imaging and blood examination at 6 months post transplant. Change in Unified Parkinson’s Disease Rating Scale (UPDRS) score at 12 months post surgery, when compared to baseline scores. Each subject was independently rated by two observers at each study visit and a mean score was calculated for analysis. Change in DATscan brain imaging at 12 months when compared to a baseline brain scan taken before surgery. DATscan imaging provides an indication of dopamine processing. Change in Hoehn and Yahr Stage at 12 months, compared to baseline scores. The Hoehn and Yahr scale is a commonly used system for Parkinson’s disease. The trial will be a single group, non-randomized analysis of the safety and efficacy of the cells. The estimated date of completion is December 2020. Why are some researchers concerned about the study? In addition to the lack of published research by the team undertaking the trial, the research community is also worried about the type of cells that are going to be transplanted in this clinical trial. Most of the research groups heading towards clinical trials in this area are all pushing embryonic stem cells towards a semi-differentiated state. That is, they are working on recipes that help the embryonic stem cells grow to the point that they have almost become dopamine neurons. Prof Zhou and his colleagues, however, are planning to transplant a much less differentiated type of cell called a neural-precursor cell in their transplants. Neuronal-precursors are very early stage brain cells. They are most likely being used in the study because they will survive the transplantation procedure better than a more mature neurons which would be more sensitive to the process – thus hopefully increasing the yield of surviving cells. But we are not sure how the investigators are planning to orient the cells towards becoming dopamine neurons at such an early stage of their development. Neuronal-precursors could basically become any kind of brain cell. How are the researchers committing them to become dopamine neurons? We feel that there are justified reasons for concern. Authors: Wu J, Sheng C, Liu Z, Jia W, Wang B, Li M, Fu L, Ren Z, An J, Sang L, Song G, Wu Y, Xu Y, Wang S, Chen Z, Zhou Q, Zhang YA. Journal: Stem Cell Res. 2015 Jan;14(1):1-9. In this study, the researchers engineered embryonic stem cells to over-produce a protein called LMX1A to help produce dopamine neurons. LMX1A is required for the development of dopamine neurons (Click here to read more about this). The investigators then grew these cells in cell culture and compared their ability to develop into dopamine neurons against embryonic stem cells with normal levels of LMX1A. After 14 days in cell culture, 16% of the LMX1A cells were dopamine neurons, compared to only 5% of the control cells. When the investigators transplanted these cells into a mouse model of Parkinson’s disease, they found that the behavioural recovery in the mice did not differ from the control injected mice, and when they looked at the brains of the mice 11 weeks after transplantation “very few engrafted cells had survived”. In addition to this previously published work, the Chinese team do have unpublished research on 15 monkeys that have undergone the neuronal-precursor cell transplantation procedure having had Parkinson’s disease induced using a neurotoxin. The researchers have admitted that they initially did not see any improvements in movement (which is expected given the slow maturation of the cells). At the end of the first year, however, they examined the brains of some of the monkeys and they found that the transplanted stem cells had turned into dopamine-releasing cells (exactly what percentage of the cells were dopamine neurons is yet to be announced). The monkey study has been running for several years now and they have seen a 50% improvement in the motor ability of the remaining monkeys, supported by brain imaging data. The publication of this research is in preparation, but it probably won’t be available until after the trial has started. So yes, there is a limited amount of preclinical research supporting the clinical trial. Authors: Bjorklund LM, Sánchez-Pernaute R, Chung S, Andersson T, Chen IY, McNaught KS, Brownell AL, Jenkins BG, Wahlestedt C, Kim KS, Isacson O. Journal: Proc Natl Acad Sci U S A. 2002 Feb 19;99(4):2344-9. In this study, the researchers found that of the twenty-five rats that received embryonic stem cell injections into their brains to correct the modelled Parkinson’s disease, five rats died before completed behavioural assessment and the investigators found teratoma-like tumours in their brains – less than 16 weeks after the cells had been transplanted. Given this risk of tumour formation, research groups in the cell transplantation field have been trying to push the embryonic stem cells as far away from their original pluripotent state and as close to a dopamine fate as possible without producing mature dopamine neurons which will not survive the transplantation procedure very well. Prof Zhou’s less mature neuronal-precursor cells are closer to embryonic stem cells than dopamine neurons on this spectrum than the kinds of cells other research groups are testing in cell transplantation experiments. As a result, we are curious to know what precautions the investigators are taking to limit the possibility of an undifferentiated, still pluripotent embryonic stem cell from slipping into this study (the consequences could be disastrous). And given their results from the LMX1A study described above, we are wondering how they are planning to push the cells towards a dopamine fate. If they do not have answers to this issues, they should not be rushing to the clinic with these cells. So yes, there are reasons for concern regarding the cells that the researchers plan to use in this clinical trial. And, as with the International Stem Cell Corporation stem cell trial in Australia, we also worry that the follow up-period (or endpoint in the study) of 12 months is not long enough to determine the efficacy of these cells in improving Parkinson’s rating scores and brain imaging results. All of the previous clinical research in this field indicates that the transplanted cells require years of maturation before their dopamine production has an observable impact on the participant. Using 12 months as an end point for this study is tempting a negative result when the long term outcome could be positive. As we mentioned above, any negative outcomes for these studies could have dire consequences for the field as a whole. Embryonic stem cells hold huge potential in the field of regenerative medicine. Their ability to become any cell type in the body means that if we can learn how to control them correctly, these cells could represent a fantastic new tool for future cell replacement therapies in conditions like Parkinson’s disease. Strong demand for such therapies from groups like the Parkinsonian community, has resulted in research groups rushing to the clinic with different approaches using these cells. Concerns as to whether such approaches are ready for the clinic are warranted, if only because mistakes by individual research groups/consortiums in the past have caused delays for everyone in the field. While China is very keen (and should be encouraged) to take bold steps in its ambition to be a world leader in this field, open and transparent access to extensive preclinical research would help assuage concerns within the research community that prudent care is being taken heading forward. We’ll keep you aware of developments in this clinical trial. EDITORIAL NOTE No.1 – It is important for all readers of this post to appreciate that cell transplantation for Parkinson’s disease is still experimental. Anyone declaring otherwise (or selling a procedure based on this approach) should not be trusted. While we appreciate the desperate desire of the Parkinson’s community to treat the disease ‘by any means possible’, bad or poor outcomes at the clinical trial stage for this technology could have serious consequences for the individuals receiving the procedure and negative ramifications for all future research in the stem cell transplantation area. EDITORIAL NOTE No.2 – the author of this blog is associated with research groups conducting the current Transeuro transplantation trials and the proposed G-Force embryonic stem cell trials planned for 2018. He has endeavoured to present an unbiased coverage of the news surrounding the current clinical trials, though he shares the concerns of the Parkinson’s scientific community that the research supporting the current Australian trial is lacking in its thoroughness and will potentially jeopardise future work in this area. He is also concerned by the lack of peer-reviewed published research on cell transplantation in models of Parkinson’s disease for the proposed clinical studies in China. A connection between ALS & Parkinson’s disease? Oh’ll, SOD it! Please excuse our use of UK slang in the title of this post, but a group of Australian researchers have recently discovered something really interesting about Parkinson’s disease. And being a patriotic kiwi, it takes something REALLY interesting for me to even acknowledge that other South Pacific nation. This new finding, however, could be big. In today’s post, we will review new research dealing with a protein called SOD1, and discuss what it could mean for the Parkinson’s community. The clustering (or aggregation) of a protein called Alpha synuclein in tightly packed, circular deposits, called Lewy bodies (see image below). The clustered alpha synuclein protein, however, is not limited to just the Lewy bodies. In the affected areas of the brain, aggregated alpha synuclein can be seen in the branches of cells – see the image below where alpha synuclein has been stained brown on a section of brain from a person with Parkinson’s disease. Now, one of the problems with our understanding of Parkinson’s disease is disparity between the widespread presence of clustered alpha synuclein and very selective pattern of cell loss. Alpha synuclein aggregation can be seen distributed widely around the affected areas of the brain, but the cell loss will be limited to specific populations of cells. If the disease is killing a particular population of cells, why is alpha synuclein clustering so wide spread? So why is there a difference? It could be that the cells that die have a lower threshold for alpha synuclein toxicity (we discussed this is a previous post – click here?). But this question regarding the difference between these two features has left many researchers wondering if there may be some other protein or agent that is actually killing off the cells and then disappearing quickly, leaving poor old alpha synuclein looking rather guilty. And this is a very serious discussion point. This year of 2017 represents the 200th anniversary of James Parkinson’s first description of Parkinson’s disease, but it also represents the 20th anniversary since the association between alpha synuclein and PD was first established. We have produced almost 7,000 research reports on the topic of alpha synuclein and PD during that time, and we currently have ongoing clinical trials targetting alpha synuclein. But what if our basic premise – that alpha synuclein is the bad guy – is actually wrong? Is there any evidence to suggest this? We are just speculating here, but yes there is. For example, in a study of 904 brains, alpha synuclein deposits were observed in 11.3% of the brains (or 106 cases), but of those cases only 32 had been diagnosed with a neurodegenerative disorder (Click here to read more on this). The remaining 74 cases had demonstrated none of the clinical features of Parkinson’s disease. So what else could be causing the cell death? Well, this week some scientists from sunny Sydney (Australia) reported a protein that could fit the bill. The interesting part of their finding is that the protein is also associated with another neurodegenerative condition: Amyotrophic lateral sclerosis. Remind me again, what is Amyotrophic lateral sclerosis? Parkinson’s disease and Amyotrophic lateral sclerosis (ALS) are the second and third most common adult-onset neurodegenerative conditions (respectively) after Alzheimer’s disease. We recently discussed ALS in a previous post (Click here to read that post). ALS, also known as Lou Gehrig’s disease and motor neuron disease, is a neurodegenerative condition in which the neurons that control voluntary muscle movement die. The condition affects 2 people in every 100,000 each year, and those individuals have an average survival time of two to four years. You may have heard of ALS due to it’s association with the internet ‘Ice bucket challenge‘ craze that went viral in 2014-15. What is the protein associated with ALS? In 1993, scientists discovered that mutations in the gene called SOD1 were associated with familial forms of ALS (Click here to read more about this). We now know that mutations in the SOD1 gene are associated with around 20% of familial cases of ALS and 5% of sporadic ALS. The SOD1 gene produces an enzyme called Cu-Zn superoxide dismutase. This enzyme is a very powerful antioxidant that protects the body from damage caused by toxic free radical generated in the mitochondria. One important note here regarding ALS: the genetic mutations in the SOD1 gene do not cause ALS by affecting SOD1’s antioxidant properties (Click here to read more about this). Rather, researchers believe that the cell death seen in SOD1-associated forms of ALS is the consequences of some kind of toxic effect caused by the mutant protein. So what did the Aussie researchers find about SOD1 in Parkinson’s disease? Title: Amyotrophic lateral sclerosis-like superoxide dismutase 1 proteinopathy is associated withneuronal loss in Parkinson’s disease brain. Authors: Trist BG, Davies KM, Cottam V, Genoud S, Ortega R, Roudeau S, Carmona A, De Silva K, Wasinger V, Lewis SJG, Sachdev P, Smith B, Troakes C, Vance C, Shaw C, Al-Sarraj S, Ball HJ, Halliday GM, Hare DJ, Double KL. Journal: Acta Neuropathol. 2017 May 19. doi: 10.1007/s00401-017-1726-6. Given that oxidative stress is a major feature of Parkinson’s disease, the Aussie researchers wanted to investigate the role of the anti-oxidant enzyme, SOD1 in this condition. And what they found surprised them. Two areas affected by Parkinson’s disease – the substantia nigra (where the dopamine neurons reside; SNc in the image below) and the locus coeruleus (an area in the brain stem that is involved with physiological responses to stress; LC in the image below) – exhibited little or no SOD1 protein in the control brains. But in the Parkinsonian brains, there was a great deal of SOD1 protein (see image below). In the image above, you can see yellowish-brown stained patches in both the PD and control images. This a chemical called neuromelanin and it can be used to identify the dopamine-producing cells in the SNc and LC. The grey staining in the PD images (top) are cells that contain SOD1. Note the lack of SOD1 (grey staining) in the control images (bottom). Approximately 90% of Lewy bodies in the Parkinson’s affected brains contained SOD1 protein. The investigators did report that the levels of SOD1 protein varied between Lewy bodies. But the clustered (or ‘aggregated’) SOD1 protein was not just present with alpha synuclein, often it was found by itself in the degenerating regions. The researchers occasional saw SOD1 aggregation in regions of age-matched control brains, and they concluded that a very low level of SOD1 must be inherent to the normal ageing process. But the density of SOD1 clustering was (on average) 8x higher in the SNc and 4x higher in the LC in the Parkinsonian brain compared to age-matched controls. In addition, the SOD1 clustering was significantly greater in these regions than all of the non-degenerating regions of the same Parkinson’s disease brains. The investigators concluded that these data suggest an association between SOD1 aggregation and neuronal loss in Parkinson’s disease. Importantly, the presence of SOD1 aggregations “closely reflected the regional pattern of neuronal loss”. They also demonstrated that the SOD1 protein in the Parkinsonian brain was not folded correctly, a similar characteristic to alpha synuclein. A protein must fold properly to be able to do it’s assigned jobs. By not folding into the correct configuration, the SOD1 protein could not do it’s various functions – and the investigators observed a 66% reduction in SOD1 specific activity in the SNc of the Parkinson’s disease brains. Interestingly, when the researchers looked at the SNc and LC of brains from people with ALS, they identified SOD1 aggregates matching the SOD1 clusters they had seen in these regions of the Parkinson’s disease brain. Is this the first time SOD1 has been associated with Parkinson’s disease? Authors: Nishiyama K, Murayama S, Shimizu J, Ohya Y, Kwak S, Asayama K, Kanazawa I. The investigators behind this study reported SOD1 protein was present in Lewy bodies, in the substantia nigra and locus coeruleus of brains from five people with Parkinson’s disease. Interestingly, they showed that SOD1 is present in the periphery of the Lewy body, similar to alpha synuclein. Both of these protein are present on the outside of the Lewy body, as opposed to another Parkinson’s associated protein, Ubiquitin, which is mainly present in the centre (or the core) of Lewy bodies (see image below). Authors: Helferich AM, Ruf WP, Grozdanov V, Freischmidt A, Feiler MS, Zondler L, Ludolph AC, McLean PJ, Weishaupt JH, Danzer KM. Journal: Mol Neurodegener. 2015 Dec 8;10:66. These researchers found that alpha synuclein and SOD1 interact directly, and they noted that Parkinson’s disease related mutations in alpha synuclein (A30P, A53T) and ALS associated mutation in SOD1 (G85R, G93A) modify the binding of the two proteins to each other. They also reported that alpha synuclein accelerates SOD1 aggregation in cell culture. This same group of researchers published another research report last year in which they noted that aggregated alpha synuclein increases SOD1 clustering in a mouse model of ALS (Click here for more on this). We should add that alpha synuclein aggregations in ALS are actually quite common (click here and here to read more on this). Are there any genetic mutations in the SOD1 gene that are associated with Parkinson’s disease? Title: Sequence of the superoxide dismutase 1 (SOD 1) gene in familial Parkinson’s disease. Authors: Bandmann O, Davis MB, Marsden CD, Harding AE. Journal: J Neurol Neurosurg Psychiatry. 1995 Jul;59(1):90-1. Title: Genetic polymorphisms of superoxide dismutase in Parkinson’s disease. Authors: Farin FM, Hitosis Y, Hallagan SE, Kushleika J, Woods JS, Janssen PS, Smith-Weller T, Franklin GM, Swanson PD, Checkoway H.
Journal: Mov Disord. 2001 Jul;16(4):705-7. Both studies found no genetic variations in the SOD1 gene that were more frequent in the Parkinson’s affected community than the general population. So, no, there are no SOD1 genetic mutations that are associated with Parkinson’s disease. Are there any treatments targeting SOD1 that could be tested in Parkinson’s disease? Title: The hypoxia imaging agent CuII(atsm) is neuroprotective and improves motor and cognitive functions in multiple animal models of Parkinson’s disease. Authors: Hung LW, Villemagne VL, Cheng L, Sherratt NA, Ayton S, White AR, Crouch PJ, Lim S, Leong SL, Wilkins S, George J, Roberts BR, Pham CL, Liu X, Chiu FC, Shackleford DM, Powell AK, Masters CL, Bush AI, O’Keefe G, Culvenor JG, Cappai R, Cherny RA, Donnelly PS, Hill AF, Finkelstein DI, Barnham KJ. Title: J Exp Med. 2012 Apr 9;209(4):837-54. CuII(atsm) is a drug that is currently under clinical investigation as a brain imaging agent for detecting hypoxia (damage caused by lack of oxygen – Click here to read more about this). The researchers conducting this study, however, were interested in this compound for other reasons: CuII(atsm) is also a highly effective scavenger of a chemical called ONOO, which can be very toxic. CuII(atsm) not only inhibits this toxicity, but it also blocks the clustering of alpha synuclein. And given that CuII(atsm) is capable of crossing the blood–brain barrier, these investigators wanted to assess the drug for its ability to rescue model of Parkinson’s disease. And not just in one model of Parkinson’s disease, but FOUR! The investigators even waited three days after giving the neurotoxins to the mice before giving the CuII(atsm) drug, and it still demonstrated neuroprotection. It also improved the behavioural features of these models of Parkinson’s disease. Is CuII(atsm) being tested for anything else in Clinical trials? Yes, there is a clinical trial ongoing for ALS in Australia. The Phase I study, being run by Collaborative Medicinal Development Pty Limited, is a dose escalating study of Cu(II)ATSM to determine if this drug is safe for use in ALS (Click here for more on this study). Cu(II)ATSM is an orally administered drug that inhibits the activity of misfolded SOD1 protein. It has been shown to paradoxically increase mutant SOD1 protein in a mouse model of ALS, but it also provides neuroprotection and improves the outcome for these mice (Click here to read more on this). If this trial is successful, it would be interesting to test this drug on a cohort of people with Parkinson’s disease. Determining which subgroup of the Parkinson’s affected community would most benefit from this treatment is still to be determined. There is some evidence published last year that suggests people with genetic mutations in the Parkinson’s associated gene PARK2 could benefit from the approach (Click here to read more on this). More research, however, is needed in this area. Right, so summing up, a group of Australian researchers have reported that the ALS associated protein SOD1 is closely associated with the cell death that we observe in the brains of people with Parkinson’s disease. They suggest that this could highlight a common mechanisms of toxic SOD1 aggregation in both Parkinson’s disease and ALS. Individuals within the Parkinson’s affected community do not appear to have any genetic mutations in the SOD1 gene, which makes this finding is very interesting. What remains to be determined is whether SOD1 aggregation is a “primary pathological event”, or if it is secondary to some other disease causing agent. We are also waiting to see if a clinical trial targeting SOD1 in ALS is successful. If it is, there may be good reasons for targeting SOD1 as a novel treatment for Parkinson’s disease. ‘Prana’ is a Hindu Sanskrit word meaning “life force”. An Australian biotech company has chosen this word for their name. Recently Prana Biotechnology Ltd announced some exciting results from their Parkinson’s disease research programme. In today’s post we will look at what the company is doing, the science underlying the business plan, and review the results they have so far. At the end of March, over 3000 researchers in the field of neurodegeneration gathered in the Austrian capital of Vienna for the 13th International Conference on Alzheimer’s and Parkinson’s Diseases and Related Neurological Disorders (also known as ADPD2017). A lot of interesting new research in the field of Parkinson’s disease was presented at the conference (we will look at some other presentation in future posts), but one was of particular interest to us here at SoPD HQ. The poster entitled: ‘Abstract: 104 – PBT434 prevents neuronal loss, motor function and cognitive impairment in preclinical models of movement disorders by modulation of intracellular iron’, was presented by Associate Professor David Finkelstein, of the Florey Institute of Neuroscience and Mental Health (Melbourne, Australia). Unfortunately the ADPD2017 conference’s scientific programme search engine does not allow for individual abstracts to be linked to on the web so if you would like to read the abstract, you will need to click here for the search engine page and search for ‘PBT434’ or ‘Finkelstein’ in the appropriate boxes. Prof Finkelstein was presenting preclinical research that had been conducted by an Australian biotech company called Prana Biotechnology Ltd.
Prana Biotechnology Ltd has a large portfolio of over 1000 small chemical agents that they have termed ‘MPACs’ (or Metal Protein Attenuating Compounds). These compounds are designed to interrupt the interactions between particular metals and target proteins in the brain. The goal of this interruption is to prevent deterioration of brain cells in neurodegenerative conditions. For Parkinson’s disease, the company is proposing a particular iron chelator they have called PBT434. What is an iron chelator? Iron chelator therapy involves the removal of excess iron from the body with special drugs. Chelate is from the Greek word ‘chela’ meaning “claw”. Iron overload in the body is a common medical problem, sometimes arising from disorders of increased iron absorption such as hereditary haemochromatosis. Iron chelator therapy represents one method of reducing the levels of iron in the body. But why is iron overload a problem? Good question. It involves the basic properties of iron. Iron is a chemical element (symbol Fe). It has the atomic number 26 and by mass it is the most common element on Earth (it makes up much of Earth’s outer and inner core). It is absolutely essential for cellular life on this planet as it is involved with the interactions between proteins and enzymes, critical in the transport of oxygen, and required for the regulation of cell growth and differentiation. Well, if you think back to high school chemistry class you may recall that there are these things called electrons. And if you have a really good memory, you will recall that the chemical hydrogen has one electron, while iron has 26 (hence the atomic number 26). Iron has a really interesting property: it has the ability to either donate or take electrons. And this ability to mediate electron transfer is one of the reasons why iron is so important in the body. Iron’s ability to donate and accept electrons means that when there is a lot of iron present it can inadvertently cause the production of free radicals. We have previously discussed free radicals (Click here for that post), but basically a free radical is an unstable molecule – unstable because they are missing electrons. In an unstable format, free radicals bounce all over the place, reacting quickly with other molecules, trying to capture the much needed electron to re-gain stability. Free radicals will literally attack the nearest stable molecule, to steal an electron. This leads to the “attacked” molecule becoming a free radical itself, and thus a chain reaction is started. Inside a living cell this can cause terrible damage, ultimately killing the cell. Antioxidants can help try and restore the balance, but in the case of iron overload iron doctors will prescribe chelator treatment to deal with the situation more efficiently. By soaking up excess iron, we can limit the amount of damage caused by the surplus of iron. So what research has been done regarding iron content and the Parkinsonian brain? In 1968, Dr Kenneth Earle used an X-ray based technique to examine the amount of iron in the substantia nigra of people with Parkinson’s disease (Source). The substantial nigra is one of the regions in the brain most badly damaged by the condition – it is where most of the brain’s dopamine neurones resided. The concentration of iron in Parkinsonian samples was two times higher than that of the control samples. Overall, however, there does appear to be a trend in the direction of higher levels of iron in the Parkinsonian brains. A recent meta-analysis of all this data confirmed this assessment as well as noting an increase in the caudate putamen (the region of the brain where the dopamine neuron branches release their dopamine – Click here for that study). Brain imaging of iron (using transcranial sonography and magnetic resonance imaging (MRI)) has also demonstrated a strong correlation between iron levels in the substantia nigra region and Parkinson’s disease severity/duration (Click here and here to read more on this). Thus, there appears to be an increase of iron in the regions most affected by Parkinson’s disease and this finding has lead researchers to ask whether reducing this increase in iron may help in the treatment of Parkinson’s disease. How could iron overload be bad in Parkinson’s disease? Well in addition to causing the production of free radicals, there are many possible ways in which iron accumulation could be aggravating cell loss in Parkinson’s disease. High levels of iron can cause the oxidation of dopamine, which results in the production of hydrogen peroxide (H2O2 – a reactive oxygen species – the stuff that is used to bleach hair and is also used as a propellant in rocketry!). This reaction can cause further oxidative stress that can then lead to a range of consequences including protein misfolding, lipid peroxidation (which can cause the accumulation of the Parkinson’s associated protein alpha synuclein), mitochondrial dysfunction, and activation of immune cells in the brain. And this is just a taster of the consequences. For further reading on this topic we recommend two very good reviews – click here and here. Ok, so iron overload is bad, but what was the research presented in Austria? The researchers at Prana Biotechnology Ltd assessed the potential of one of their candidate drugs, PBT434, in both cell culture and animal models of Parkinson’s disease. The PBT434 drug was selected for further investigation based on its performance in cell culture assays designed to test the inhibition of oxidative stress and iron-mediated aggregation of Parkinson’s associated proteins like alpha synuclein. PBT434 significantly reduced the accumulation of alpha synuclein and markers of oxidative stress, and prevented neuronal loss. The investigators also demonstrated that orally administered PBT434 readily crossed the blood brain barrier and entered the brain. In addition the drug was well-tolerated in the experimental animals and improved motor function in toxin-induced (MPTP and 6-hydroxydopamine) and transgenic mouse models of Parkinson’s disease (alpha synuclein -A53T and tau – rTg4510). Interestingly, PBT434 also demonstrated neuroprotective properties in animal models of multiple systems atrophy (or MSA). Suggesting that perhaps iron chelation could be a broad neuroprotective approach. The researchers concluded that this preclinical data demonstrates the efficacy of PBT434 as a clinical candidate for Parkinson’s disease. PBT434 shows a strong toxicology profile and favourable therapeutic activity. Prana is preparing its pre-clinical development package for PBT434 to initiate human clinical trials. Does Prana have any other drugs in clinical trials? Prana Biotechnology has another product called PBT2. The company currently has two clinical trial programs for PBT2 focused on two other neurodegenerative diseases: Alzheimer’s disease and Huntington’s disease. The Alzheimer’s study was called the IMAGINE Trial, but (there is always a ‘but’) recently PBT2 failed to meet its primary endpoint (significantly reducing levels of beta-amyloid – the perceived bad guy in Alzheimer’s disease) in a phase III trial of mild Alzheimer’s disease. PBT2 was, however, shown to be safe and very well tolerated over the 52 week trial, with no difference in the occurrence of adverse events between the placebo and treated groups. In addition, there was less atrophy (shrinkage) in the brains of those patients treated with PBT2 when compared to control brains, 2.6% and 4.0%, respectively (based on brain imaging). The company is tracking measures of brain volume and cognition in a 12 month extension study. It could be interesting to continue that follow up long term to evaluate the consequences of long term use of this drug on Alzheimer’s disease – even if the effect is minimal, any drug that can slow the disease down is useful and could be used in conjunction with other neuroprotective medications. For Huntington’s disease, the company is also using the PBT2 drug and this study has had a bit more success. The study, called Reach2HD, was a six month phase II clinical trial in 109 patients with early to mid-stage Huntington’s disease, across 20 sites in the US and Australia. The company was aiming to assess the safety profile of this drug in this particular condition, as well as determining the motor and behavioural benefits. In the ReachHD study, PBT2 showed signs of improving some aspects of cognitive function in the study, which potentially represents a major event for a disease for which there is very little in the way of medical treatments. For a full description of the PBT2 trials, see this wikipedia page on the topic. Is Prana the only research group working on iron chelators technology for Parkinson’s disease? There is a large EU-based consortium called FAIR PARK II, which is running a five year trial (2015 – 2020) of the iron chelator deferiprone (also known as Ferriprox). The study is a multi-centre, placebo-controlled, randomised clinical trial involving 338 people with recently diagnosed Parkinson’s disease. The population will be divided into two group (169 subjects each). They will then be assigned either deferiprone (15 mg/kg twice a day) or a placebo. Each subject will be given 9-months of treatment followed by a 1-month post-treatment monitoring period, in order to assess the disease-modifying effect of deferiprone (versus placebo). As far as we are aware, this FAIR PARK II clinical trial is still recruiting participants – please click here to read more about this – thus it will most likely be some time before we hear the results of this study. Are there natural sources of chelators? Yes there are. In fact, many natural antioxidants exert some chelating activities. Prominent among the natural sources of chelators: Green tea has components of plant extracts, such as epigallocatechin gallate (EGCG – which we have previously discussed in regards to Parkinson’s disease, click here to read that post) which possess structures which infer metal chelating properties. As we have said before people, drink more green tea! Summing up: We do not know what causes Parkinson’s disease. Most of our experimental treatments are focused on the biological events that occur in the brain around and after the time of diagnosis. These include an apparent accumulation of iron in affected brain regions. Research groups are currently experimenting with drugs that reduce the levels of iron in the brain as a potential treatment for Parkinson’s disease. Preclinical data certainly look positive. We will now have to wait and see if those results translate into the human. Previous clinical trials of metal chelators in neurodegeneration have had mixed success in demonstrating positive benefits. It may well be, however, that this treatment approach should be used in conjunction with other neuroprotective approaches – as a supplement. It will be interesting to see how Prana Biotechnology’s drug PBT434 fares in human clinical trials for Parkinson’s disease. Stay tuned for more on this. Today the results of a double-blind, phase II clinical trial of iron chelator deferiprone in Parkinson’s disease were published. The results of the study indicate a mildly positive effect (though not statistically significant) after 6 months of daily treatment. Journal: Scientific Reports (2017), 7, 1398. In this Phase 2 randomised, double-blinded, placebo controlled clinical trial, the researchers recruited 22 people with early stage Parkinson’s disease (disease duration of less than 5 years; 12 males and 10 females; aged 50–75 years). They were randomly assigned to either a placebo group (8 participants), or one of two deferiprone treated groups: 20 mg/kg per day (7 participants) or 30 mg/kg per day (7 participants). The treatment was two daily oral doses (taken morning and evening), and administered for 6 months with neurological examinations, brain imaging and blood sample collections being conducted at 0, 3 and 6 months. Deferiprone therapy was well tolerated and brain imaging indicated clearance of iron from various parts of the brain in the treatment group compared to the placebo group. Interestingly, the 30 mg/kg deferiprone treated group demonstrated a trend for improvement in motor-UPDRS scores and quality of life (although this was not statistically significance). The researchers concluded that “more extensive clinical trials into the potential benefits of iron chelation in PD”. Given the size of the groups (7 people) and the length of the treatment period (only 6 months) in this study it is not really a surprise that the researchers did not see a major effect. That said, it is very intriguing that they did see a trend towards motor score benefits in the 30 mg/kg deferiprone group – remembering that this is a double blind study (so even the investigators were blind as to which group the subjects were in). We will now wait to see what the FAIR PARK II clinical trial finds. Title: The novel compound PBT434 prevents iron mediated neurodegeneration and alpha-synuclein toxicity in multiple models of Parkinson’s disease. Authors: Finkelstein DI, Billings JL, Adlard PA, Ayton S, Sedjahtera A, Masters CL, Wilkins S, Shackleford DM, Charman SA, Bal W, Zawisza IA, Kurowska E, Gundlach AL, Ma S, Bush AI, Hare DJ, Doble PA, Crawford S, Gautier EC, Parsons J, Huggins P, Barnham KJ, Cherny RA. Journal: Acta Neuropathol Commun. 2017 Jun 28;5(1):53. The results suggest that PBT434 is far less potent than deferiprone or deferoxamine at lowering cellular iron levels, but this weakness is compensated by the reduced levels of alpha synuclein accumulation in models of Parkinson’s disease. PBT434 certainly appears to be neuroprotective demonstrating improvements in motor function, neuropathology and biochemical markers of disease state in three different animal models of Parkinson’s disease. The researchers provide little information as to when the company will be exploring clinical trials for this drug, but in the press release associated with the publication, Dr David Stamler (Prana’s Chief Medical Officer and Senior Vice President, Clinical Development) was quoted saying that they “are eager to begin clinical testing of PBT434”. We’ll keep an eye to the ground for any further news. FULL DISCLOSURE: Prana Biotechnology Ltd is an Australasian biotechnology company that is publicly listed on the ASX. The information presented here is for educational purposes. Under no circumstances should investment decisions be made based on the information provided here. The SoPD website has no financial or beneficial connection to either company. We have not been approached/contacted by the company to produce this post, nor have we alerted them to its production. We are simply presenting this information here as we thought the science of what the company is doing might be of interest to other readers. In addition, under absolutely no circumstances should anyone reading this material consider it medical advice. The material provided here is for educational purposes only. Before considering or attempting any change in your treatment regime, PLEASE consult with your doctor or neurologist. Metal chelators are clinically available medications, but it is not without side effects (for more on this, see this website). We urge caution and professional consultation before altering a treatment regime. SoPD can not be held responsible for any actions taken based on the information provided here. This week over 40,000 neuroscientists from all over the world have gathered for the annual Society for Neuroscience conference in sunny San Diego. It is 5 days of non-stop presentations of scientific results. One of the presentations made this year was delivered by Dr Russell Kern, executive vice president and chief scientific officer of International Stem Cell Corp (ISCO). It dealt with the controversial on-going stem cell clinical trial in Australia. In the presentation, Dr Kern outlined the study and gave an update on the first patient in the Phase 1 clinical trial, who was transplanted at the end of July. The second patient is scheduled be treated in the next three weeks. A total of 12 are expected to be treated. During the three months following the first surgery, the attending physicians observed no signs of complications (which is a very good thing). Unfortunately, according to San Diego Union Tribute, Dr Kern is then said to have implied that ‘there are some indications of efficacy in relieving symptoms of the movement disorder’. In addition, Dr Kern suggested that ‘the patient’s handwriting has improved’. Long time readers of this blog know that we have been extremely critical of this trial from the start (Click here and here to read them). We make no apologise for this. The pre-clinical data that has been presented thus far in no way justifies taking these particular cells to the clinic. We believe it irresponsible. And our opposition is supported by many other researchers in the Parkinson’s research field (Click here for an example). It defies belief, however, that Dr Kern would suggest to a conference audience or a media outlet that a patient who is 3 months post surgery could be exhibiting functional improvements. It is widely acknowledged in the Parkinson’s disease research field that it takes 2-3 years for the cells (that are transplanted into the brain) to mature and become functional (click here for more on this). In addition, during their preclinical studies Dr Kern and his colleagues observed very little in the way of behavioural improvements 12 months after transplantation (when compared to control conditions), so how is it that they are seeing such rapid improvements in their first human subject? If Dr Kern’s suggestions of functional improvements are based solely on the unblinded observations of the clinician and the patient, then sharing such information publicly is extremely inappropriate. Unprofessional at best, but potentially unethical. At the very least, any suggestions of functional recovery in cases like these should be supported by brain scans (indicating increases in dopamine activity) and blinded, unbiased investigator scoring. Otherwise any reported outcomes could simply be due to the placebo effect (as the patient knows that he has been transplanted), and thus not valid for a Parkinson’s community desperate to see positive results in a potential therapy. We also have concerns regarding the financial feasibility of the current study. Shares in ISCO have fallen from their giddy highs of $2.50 a share back in 2010 to a recent all-time low of just $0.055 (valuing the company at less than $6 million). According to their most recent financial statement, the company is burning $343,000 per month (for the year ended December 31, 2015), and the company ended 2015 with a cash position of just over $530,000. They partly resolved this problem in March of this year by issuing more shares (Source), but one does worry that this kind of activity can not be maintained indefinitely. Here at the SoPD, we are very keen for cell transplantation to become a viable treatment option for people with Parkinson’s disease in the very near future. But the approach must be rigorously tried and tested, and presented to the highest standards before it can be considered feasible. As we have said before, the standards surrounding this particular trial (demonstrated by inappropriate disclosures of information during an ongoing clinical trial) are lacking. FULL DISCLOSURE – The author of this blog is associated with research groups conducting the current Transeuro transplantation trials and the proposed G-Force embryonic stem cell trials planned for 2018. He has endeavoured to present an unbiased coverage of the news surrounding this current clinical trial, but when unacceptable statements are being made to media outlets, well, he is human and it is difficult to remain unbiased. He shares the concerns of the Parkinson’s scientific community that the research supporting the current Australian trial is lacking in its thoroughness, and will potentially jeopardise future work in this area. It is important for all readers of this post to appreciate that cell transplantation for Parkinson’s disease is still experimental. Anyone declaring otherwise (or selling a procedure based on this approach) should not be trusted. While we appreciate the desperate desire of the Parkinson’s community to treat the disease ‘by any means possible’, bad or poor outcomes at the clinical trial stage for this technology could have serious consequences for the individuals receiving the procedure and negative ramifications for all future research in the stem cell transplantation area. Last night surgeons at the Royal Melbourne Hospital, conducted an 8 hour surgery during which stem cells were injected into 14 sites in the brain of a 64 year old person with Parkinson’s disease. This was the first of 12 surgeries being conducted in a phase 1 clinical trial that will assess the safety of this particular type of stem cell in human. Some media outlets have reported the surgery as taking us ‘one step closer to a cure for Parkinson’s disease’ (Click here, here, and here to see their reports). We here at the SoP.com are less excited by this new development, having previously expressed serious concerns about this trial (Click here for that post). We believe that the preclinical data presented thus far does not support going forward to the clinic prematurely with this particular type of stem cell. Title: Neural Stem Cells Derived from Human Parthenogenetic Stem Cells Engraft and Promote Recovery in a Nonhuman Primate Model of Parkinson’s Disease. Authors: Gonzalez R, Garitaonandia I, Poustovoitov M, Abramihina T, McEntire C, Culp B, Attwood J, Noskov A, Christiansen-Weber T, Khater M, Mora-Castilla S, To C, Crain A, Sherman G, Semechkin A, Laurent LC, Elsworth JD, Sladek J, Snyder EY, Jr DE, Kern RA. Journal: Cell Transplant. 2016, 25 (11), 1945-1966. In this study, 12 African Green monkeys with induced Parkinson’s disease (caused by the neurotoxin MPTP) were injected in the brain with the ISCO’s stem cells (called hpNSCs). The cells are injected into two areas of the brain: the midbrain (where the dopamine cell that are lost in Parkinson’s disease normal reside) and the striatum (where the dopamine cells release their dopamine). Six additional monkeys with induced Parkinson’s disease received saline as a control condition. Behavioural testing was conducted and the brains were inspected at 6 and 12 months. When the brains were analysed at 12 months post surgery, the researchers found that less than 2% of the transplanted cells actually developed into dopamine neurons. While this is a very low number of dopamine neurons, of greater concern is that we don’t know what became of the remaining transplanted cells. More disturbing, however, is that the authors noted extensive migration of the cells into other areas of the brain. They have also reported this phenomena in their previous study involving mice. This is represents a major concern regarding the move to the clinic. The goal of the surgery is to inject the cells into a specific region of the brain for a specific reason – localised production of dopamine. The surgeons want the cells to stay where they are placed and for them to produce dopamine in that location. If cells are migrating away from that location and the dopamine is being produced in different areas of the brain, the therapeutic effect of the cell transplantation procedure may be reduced and there could also be unexpected side-effects (for example, dopamine being produced in the wrong areas of the brain – areas where dopamine should not be produced). Based on these findings, we still believe that proceeding to the clinic with these particular types of stem cells is premature and unwise. ISCO is yet to make a press release about this overnight surgery (we can hopefully expect it later today given US time zones). The surgeons who conducted the surgery, however, have reiterated that this study is just a phase 1 trial to determine the safety of these cells in human. The transplanted subjects will be monitored for 12 months. We will follow the proceedings here at the Science of Parkinson’s and keep you updated. FULL DISCLOSURE – The author of this blog is associated with research groups conducting the current Transeuro transplantation trials and the proposed G-Force embryonic stem cell trials planned for 2018. He shares the concerns of the Parkinson’s scientific community that the research supporting the current Australian trial does not support the trial moving into the clinic. EDITORIAL NOTE – It is important for all readers of this post to appreciate that cell transplantation for Parkinson’s disease is still experimental. Anyone declaring otherwise (or selling a procedure based on this approach) should not be trusted. While we appreciate the desperate desire of the Parkinson’s community to treat the disease ‘by any means possible’, bad or poor outcomes at the clinical trial stage for this technology could have serious consequences for the individuals receiving the procedure and negative ramifications for all future research in the stem cell transplantation area. In December last year, the Australian government gave official clearance for an American company – International Stem Cell Corporation – to conduct a stem cell based clinical trial at the Royal Melbourne Hospital in Melbourne. This news was greeted with both excited hope from the Parkinson’s support community, but also concern from the Parkinson’s research community. In this post we will explore exactly what is going on. Before reading on it may be wise for those unfamiliar with transplantation therapy in Parkinson’s disease to read our previous post about the topic, where we discuss the concept and the history of the field. Click here to read that post. On the 14th December, the ‘Therapeutics Goods Administration’ (TGA) of Australia passed a regulatory submission from International Stem Cell Corporation (ISCO) for its wholly owned subsidiary, Cyto Therapeutics, to conduct a Phase I/II clinical trial of human stem cell-derived neural cells in patients with moderate to severe Parkinson’s disease. The hospital where the trial will be conducted -the Royal Melbourne Hospital in Melbourne – gave ethical approval in March this year for the trial to start and the company is now recruiting subjects. What are the details of the trial? Following the transplantation procedure, the patients will be monitored for 12 months at specified intervals, to evaluate the safety and biologic activity of ISC-hpNSC. The monitoring process will include various neurological assessments and brain scans (PET) performed at baseline (as part of the initial screening assessment), and at 6 and 12 months post surgery. Transplantation of cells is theoretically a good way of replacing the tissue that is lost in neurodegenerative conditions, like Parkinson’s disease. Previous (and the current Transeuro) clinical trials have usually used tissue dissected from aborted fetuses to supply the dopamine neurons required for the transplantations. Obviously there are major ethic and moral issues/problems with this approach. There are also procedural issues with these trials (surgeries being cancelled as not enough tissue is available – tissue from at least three fetuses is required for each transplant). Growing dopamine cells in petri dishes solves many of these problems. Millions of cells can be grown from a small number of starting cells, and there are no ethical issues regarding the fetal donors. As a result, there has been a major effort in the research community to push stem cells to become dopamine neurons that can be used in transplantation procedures. Embryonic stem (ES) cells are of particular interest to researchers as a good starting point because the cells have the potential to become any type of cell in the body – they are ‘pluripotent’. ES cells can be encouraged using specific chemicals to become whatever kind of cell you want. Embryonic stem cells are derived from a fertilized egg cell. The egg cell will divide, to become two cells, then four, eight, sixteen, etc. Gradually, it enters a stage called the ‘blastocyst’. Inside the blastocyst is a group of cell that are called the ‘inner stem cell mass’, and it is these cells that can be collected and used as ES cells. The human parthenogenetic stem cells-derived neural stem cells (hpNSC) that are going to be used in the Melbourne trial are slightly different. The hpNSCs come from an unfertilized egg – that is to say, no sperm cell is involved. The egg cell is chemically encouraged to start dividing and then becoming a blastocyst. This process is called ‘Parthenogenesis’, and it actually occurs naturally in some plants and animals. Proponents of the parthenogenic approach suggest that this is a more ethical way of generating ES cells as it does not result in the destruction of a viable organism. What has been the response to the announced trial? In general, the response from the Parkinson’s community has been very positive. The announcement of the trial was greeted by numerous support groups as a positive step forward (for some examples see Parkinson’s UK and the stem cellar blog). So why then is the research community concerned about the study? Basically the research community is concerned that this trial will be a repeat of the infamous Colorado/Columbia Trial and Tampa Bay trial back in the 1990s (two double-blind studies which initially suggested no positive effect from transplantation). Both of these studies have been criticised for methodological flaws, but more importantly longer term follow-ups with patients have suggested that the period of observation was too short (12-24 months post transplant), and longer term the transplants have had more positive outcomes – the cells simply required a longer period of time to fully develop into mature neurons. This last detail is important when considering the new trial in Australia – the trial will only follow the subjects for a period of one year. There are concerns that the absence of paternal genes in parthenogenic stem cells has not been thoroughly investigated (remember that these cells only have the genes from the female egg cell). Paternal genes are believed to be more dominant that female genes during development (Click here for more on this). They may play an important role in the development of dopamine neurons, but this has never been investigated. As a result, researchers are asking if it is wise to move to the clinic before such issues are addressed. There is also concerns that the preclinical research supporting the trial from the companies involved (ISCO and Cyto Therapeutic) is lacking. While there has been some research into the use of parthenogenic stem cells in models of Parkinson’s (Click here for an example), the research from the company involved in this trial is limited to just a couple of peer-reviewed publications. The research community has begun expressing their concerns in editorial comments in various journals – the most recent being in the Journal of Parkinson’s disease (Click here to read that article – it is open access). What preclinical research is supporting the trial? As far as we here at the SoPD are aware (and we would be very pleased to be corrected on this), there is one research article on the company website dealing with the production of dopamine neurons, and that study did not deal with transplantation. It simply described the recipe from making dopamine neurons. Title: Deriving dopaminergic neurons for clinical use. A practical approach. Authors: Gonzalez R, Garitaonandia I, Abramihina T, Wambua GK, Ostrowska A, Brock M, Noskov A, Boscolo FS, Craw JS, Laurent LC, Snyder EY, Semechkin RA. Title: Proof of concept studies exploring the safety and functional activity of human parthenogenetic-derived neural stem cells for the treatment of Parkinson’s disease. Authors: Gonzalez R, Garitaonandia I, Crain A, Poustovoitov M, Abramihina T, Noskov A, Jiang C, Morey R, Laurent LC, Elsworth JD, Snyder EY, Redmond DE Jr, Semechkin R.
The researchers in this study grew the hpNSCs in petridishes and pushed the cells towards becoming dopamine neurons, and then transplanted them into ten Parkinsonian rats and two Parkinsonian primates. Several months after transplantation, the researchers found the hpNSCs inside the brain and some of them had become dopamine neurons. There was, unfortunately, no indication as to how many of the hpNSCs survived the transplantation procedure. Nor any indication as to how many of them actually became dopamine neurons. In addition, no behavioural data is presented in the study so there is no evidence that the cells had any functional effect. The researchers did measure the amount of dopamine in the brain, but those result suggested that there was only marginally more dopamine in the transplanted animals than the control animals (which had lesioned dopamine systems and saline injections rather than hpNSCs). Thus there is very evidence that the cells are functional inside the brain. The researchers wrote in the report that “Most of the engrafted hpNSCs were dispersed from the graft site and remained undifferentiated”. This is not an ideal situation for a cell being transplanted into a particular region of the brain. Nor is it ideal for an undifferentiated cell to be going to the clinic. And given that these two papers form the bulk of what has been published by the company with regards to their Parkinson’s disease work, researchers are concerned that the company is moving so aggressively to trial. To be completely fair, ISCO has stated in a press release from April 2014, that their hpNSCs have been tested in 18 Parkinsonian primates. They suggested that those transplanted animals presented “significant improvement in the main Parkinson’s rating score”. Given that those results have never been made public, however, we are unclear as to what they actually mean (what is the “main Parkinson’s rating score”?). We will follow the proceedings here at the Science of Parkinson’s with great interest. FULL DISCLOSURE – The author of this blog is associated with research groups conducting the current Transeuro transplantation trials and the proposed G-Force embryonic stem cell trials planned for 2018. He has endeavoured to present an unbiased review of the current situation, but ultimately he is human and it is difficult to remain unbiased. He shares the concerns of the Parkinson’s scientific community that the research supporting the current Australian trial is lacking in its thoroughness. In this study, 12 African Green monkeys with induced Parkinson’s disease (caused by the neurotoxin MPTP) were transplanted with hpNSCs in the midbrain and the striatum. 6 additional monkeys with induced Parkinson’s disease received saline as a control condition. Behavioural testing was conducted and the brains were inspected at 6 and 12 months. Behaviourally, there was very little difference between the animals that were transplanted versus the control animals when they were compared at 12 months of age. This suggests that the transplant procedure is safe, but may not be having an effect at 12 months. An inspection of the brain suggested that 10% of the transplanted cells survive to 12 months of age, and a few of them become dopamine neurons. Again the researchers have chosen to use saline injections as their control condition. It would be useful to see a comparison of hpNSCs with other types of transplanted cells (eg. fetal tissue or embryonic stem cells) – for a fairer comparison of efficiency. The biochemical readings (the amount of dopamine in the brain) suggest an small increase in dopamine levels following transplantation, but only in one or two areas of the brain. Most of the analysed regions show no difference. And there is no comparison with a normal brain so it is difficult judge how truly restorative this procedure is. The increases that are observed may be minimal compared to what they should be in a normal brain. Less than 2% of the transplanted cells became dopamine neurons. This is a bit of a worry given that we don’t know what the rest of the transplanted cells are doing. And the authors noted extensive migration of the cells into other areas of the brain. They reported this in their previous study. This is cause for real concern leading up to their clinical trial. The cells are being transplanted into a specific region of the brain for a specific reason (localised production of dopamine). If that dopamine is being produced in different areas of the brain, there may be unexpected side-effects from the procedure. Another cause for concern leading up to the clinical trial is that the follow up period for the trial is only 12 months. Given that so little improvement has been seen in these monkeys over 12 months, how do the investigators expect to see significant changes in human over 12 months? The cells may well have an effect long term, but from the behavioural results presented in this new study, it is apparent that it will be extremely difficult to judge efficacy within 12 months. Even when trying to view the study with an unbiased eye, it is difficult to agree with the researchers conclusion that the results “support the approval of the world’s first pluripotent stem cell based Phase I/IIa study for the treatment of Parkinson’s disease”. The lack of effect over 12 months and the migration of the transplanted cells suggest a serious rethink of the planned clinical study is required. Blood test for Parkinson’s disease? Last week there was a press release from La Trobe University in Melbourne, Australia regarding the development of a new blood test for Parkinson’s disease. The announcement is a little bit odd as the results of the study are still being peer-reviewed (press announcements usually come after the publication of results). But the Parkinson’s community is excited by the idea of new diagnostic aids, especially those that can maybe tell us something new about the disease. In this post, we will review what we know at present, and we will follow up this post once the results are eventually published. As we have previously written, the diagnosis of Parkinson’s is rather difficult, with a 10-15% error rate becoming apparent when brains are analysed at the postmortem stage. Thus any new diagnostic tools/tests that can aid in this effort would be greatly appreciated. A group at La Trobe University in Melbourne have been studying the blood of people with neurodegenerative conditions, and have now announced that they may have a blood test for Parkinson’s disease. So what do we know thus far? The test has been conducted on blood taken from a total of 38 people (29 people with Parkinson’s disease and 9 in a control group). Professor Paul Fisher – one of the lead scientists in the study – has reported that the tests have proven ‘very reliable’. What does the test measure? The test is apparently looking at the mitochondria in the blood cells. A mitochondrion (singular) is a small structure inside a cell that is responsible for respiration and energy production. It is one of the powerhouses of the cell. Cells have lots of mitochondria (plural) because cells need lots of energy. But when the mitochondria start failing, the cell dies. As the mitochondria fails, they send out toxic chemical signals that tell the cell to begin shutting down. A test that can measure these ‘hyperactive’ mitochondria is very useful as it can both identify people with Parkinson’s disease, but it may also help us to better understand the condition. Prof Fisher and his colleagues, in addition to taking the test forward, are also trying to understand the underlying mechanisms of the ‘hyperactive mitochondria’ – what is causing them to become the way they are. The scientists at La Trobe would like to repeat and expand on the results (after they are published), and the Michael J Fox foundation and Shake It Up Australia have given La Trobe University more than $640,000 to further develop the research. The plan is to now test 100 subjects – 70 people with Parkinson’s disease and a control group of 30. Prof Fisher is hoping that a test may be available for the clinic in five years time. What about other neurodegenerative conditions? So here’s the catch with the information provided thus far – the researchers have not had the funding to test whether this hyperactivity in the mitochondria is occurring exclusively in people with Parkinson’s. That is to say, they haven’t tested whether the effect is also present in people with other neurodegenerative diseases, such as Alzheimer’s, Huntington’s, or ALS. And this is where a little bit of the excitement comes out of the announcement. But even if the hyperactivity in the mitochondria is shared between certain neurodegenerative diseases, a test highlighting the effect would still be very useful, especially if it can aid us in early detection of these conditions. As we said above, we will be following this story closely and will report back here as and when information becomes available.